The Supreme Court has denied cert petitions raising the issue of the constitutionality of long term solitary confinement for non security punishment on 9 occasions. Likewise, five circuits and several state appellate courts have rejected the claim. Based on dictum in other opinions, however some individual Supreme Court Justices are troubled by histories such as Moore’s, particularly where there is evidence of mental deterioration during the solitary confinement. 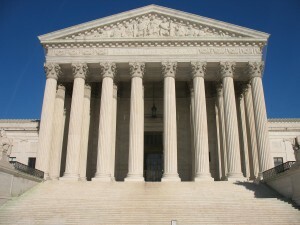 But it is doubtful that such an issue will be considered in Moore with only 8 Justices. They can count votes and the likelihood of a 5-3 decision on such a controversial subject just is not in the cards until the Senate fills the vacancy. The issue in that case which will be decided is Texas’s use of an earlier version of the medical standards to determine intellectual disability. The states have been given some leeway in enforcing the prohibition on executing under these circumstances. The fact finder must consider the views of the medical experts but is not bound by them. The experts in Moore were split on the issue with the Court of Appeals accepting the views of those who put Moore’s IQ at 74 to 78. Plenty able to receive a lethal injection. Notwithstanding the numerous medical professional and human rights organizations that have decried in amicus briefs the Texas diagnostic framework for assessing competence to be executed, it seems doubtful that 5 Justices can be found to reverse the Court of Appeals decision. Texas continues to be the leader in putting its citizens to death for murder. The state has conducted almost as many executions in recent years as all other states combined. Only 13 states have used capital punishment in recent years. The anomalous situation in which only about a quarter of the states still use the death penalty and when life on death row can last several decades continue to be the law of the land.